Multiple Teams · Apr 19 Coach Castner Wins 500! East Head coach Steve Castner hit a coaching milestone on Friday night against Centerville. Castner notched win #500 in his illustrious career as his Thunderhawks shut out the Elks 12-0. 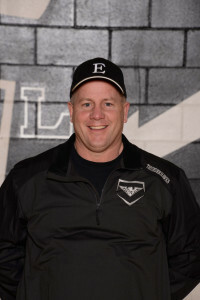 Castner has been at the helm of East Softball since the district split into two schools during the 1997-98 school year. Castner previously coached at Lakota High School from 1990 to 1997. In his 28th season as head coach, Castner has a career record of 500-223. Castner is the all-time winning fast pitch softball coach in Lakota District history. He holds the distinction of being the most winning, varsity coach in a single sport, (irrespective of sport) in Lakota District history. He’s won 18 sectional titles, 10 district titles and a regional title in 2010, Castner has won five GMC titles including two at East and three at Lakota. Castner was inducted into the OHSFCA (Ohio High School Dastpitch Softball Coaches Association) Hall of Fame back in January of 2014. Castner ranks ninth on the state’s all-time wins list, according to the unofficial records from the Ohio High School Athletic Association. He’s the ninth coach in Ohio high school softball history to reach 500 wins.